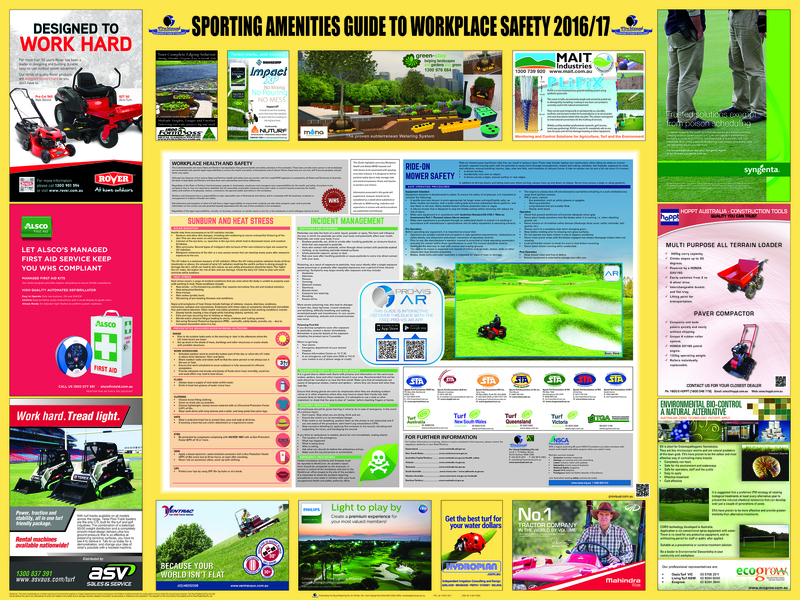 The Sports Turf Association Victoria is a proud supporter of Pro-Visual Publishing and its annual release of the Sporting Amenities Guide to Workplace Safety. The 2016/17 edition of the Sporting Amenities Guide to Workplace Safety covers the most relevant workplace health and safety issues in the industry. Topics in this year’s guide focus on the ride-on mower safety, incident management and sun safety. This year’s edition includes Augmented Reality enabled content, creating a window for interactivity. This means that the Guide will allows users to access and download additional information and resources straight to their smart device.